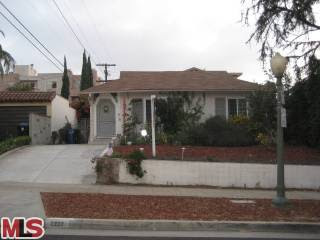 The property at 2227 Benecia Ave LA CA 90064 received a price reduction of 2.01% or $20,000, down to $975,000. The property was listed 115 days ago for $999,888 and this is the 2nd price reduction of the current listing term. The seller has attempted to sell this property a couple times since their purchase in 2005 for $1,090,000. In 2007, they lasted 121 days on the market, starting at $1,279,000 and ending at $1,195,000. Then in 2008, they tried for 89 days on the market at $1,195,000. And lastly at the end of 2009 for 74 days with a final asking price of $1,038,000. According to the MLS, the home is a 3 bedroom with a loft +2.5 baths, 1,895 sq ft of living space on a 5,850 sq ft lot.